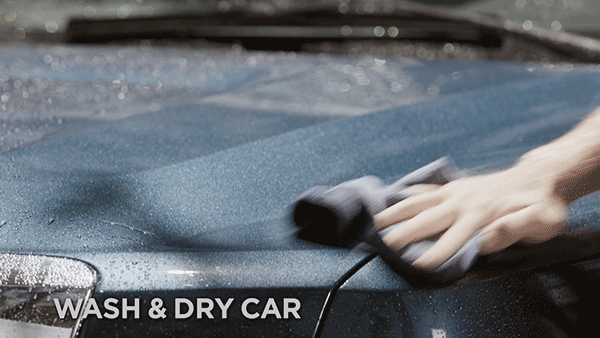 Taking good care of your car doesn’t have to take all day. Case in point, Turtle Wax ICE Spray Wax. It gives your car a durable, protective, best-in class wax in less time than it takes to decide what you’re gonna throw on the grill tonight. Speaking of grills, it works on the entire exterior … but I’m getting ahead of myself. ICE Spray Wax works best on a freshly washed car, so give it a good wash and dry before you start. We used ICE Wash & Wax – because A. it’s the best and B. it let’s us remind you that ICE Spray Wax is part our whole ICE Premium Care line with advanced formulas to keep your car cleaner longer. Told you it didn’t take much time. And neither will this recap: Start with a car that’s been washed and dried. Work in small sections. 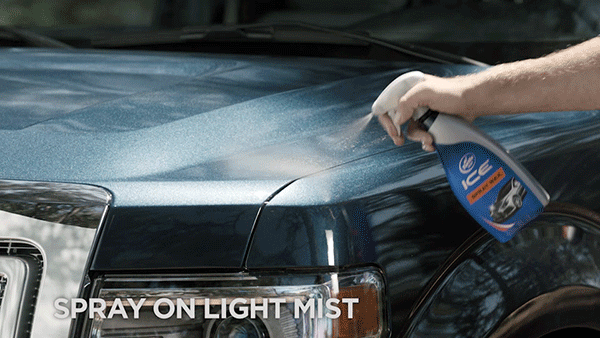 Spray a light mist. Wipe and buff to a high shine. Use on the whole exterior. That’s all she wrote. Now sit back and admire your work because you’ve got yourself a protective shine that can last up to two months. Courtesy of Ice Spray Wax from one ingenious Turtle. Copyright © 2019 Henry Chemical Co., LTD. All rights reserved.